Autism Spectrum Disorder is pretty broad. I met a young woman today who has been diagnosed with Autism Spectrum Disorder. She seemed totally like every other neurologically normal person I’ve met in terms of motor, speech and social skills. Maybe I’m missing something she suffers from, but why on earth do we have the same diagnosis? If I get a paper cut and you amputate your leg, people don’t say we have a Laceration Spectrum issue. But it’s worse with autism because autism is so many different issues lumped under a huge umbrella. I have written my opinion previously that I believe that my autism and Asperger’s Syndrome are different neurological conditions with the same name. This confuses people. Temple Grandin is unable to read people, thinks visually, speaks, and needs no 1:1 support to get on with her life. I am her opposite. I have great insight into people, think in words, can’t speak to save my life, and need 1:1 help. Somehow the brilliant minds looking into autism haven’t noticed that the opposite symptoms might be different conditions, not a spectrum. Her condition may primarily be a neurological difficulty reading people while mine is primarily a mind/motor disconnect, though both of us may have problems of self-regulation and sensory challenges. Would it make sense to call a heart problem and asthma a spectrum disorder because they both lead to shortness of breath? Not possible because doctors identify heart issues and lung issues medically. Brain issues are the most unknown, so doctors look only to the external behavior. That’s observational, not medical. You get the idea, no? Maybe a new name would lead to a better understanding and treatment of this neurological condition. This entry was posted in asperger's, autism, body responsiveness, mind/body communication, professionals, Temple Grandin and tagged autism diagnosis, autism spectrum. Bookmark the permalink. And the conspiracy theorist in me says the confusing nomenclature is probaly deliberate — to keep everyone off the scent of what’s really going on. Too right about asthma and heart conditions! Thank you Ido for all you are doing. It’s been called global apraxia, but not by very many professionals. Wow, I just had this conversation with my “autistic” son yesterday! I told him the same exact thing you are speaking about. I told him it should be renamed “mind-body disconnect disorder”. Love your way of thinking and I totally agree. My son who communicates through typing, agrees with you completely, Ido. The way in which you describe the difficulties you experience with respect to motor control is so spot-on. Typically, people who have been diagnosed with autism, and speak fluently, do not describe themselves the way my son describes himself. My son DOES have insight into others’ feelings. He does understand social conventions, but cannot control his mouth and body to carry out his intentions. So frustrating! Anyway, thanks for your thoughtful post. I have not heard so much sense for a long time. I have struggled to find any literature that exactly describes my son until I read your book and it is the reason I now have such understanding of his specific needs. I repeat what I have been saying your book should be read by everyone who has anything to do with autism. Ido and RPM have helped me to see that there must be something at fault with the connectivities in the brain other than what is classic ASD. Keep going amazing young man and your wonderful mum! FYI. Temple Grandin has an administrative assistant who is her right arm. She doesn’t email. She doesn’t use her phone except for outgoing calls after they’re screened by the admin. Never presume. As a mother of a 30 year old nonverbal son I wanted to respond to your comment. I think what you described is more like an assistant or secretary than a full time one on one aid. My son needs someone with him all day to help him complete every day tasks and to be safe in the community. He has such severe fine motor problems he needs help dressing and can’t button, zip, tie his shoelaces, cook and still needs help with hygiene. People may need help, but there are degrees and I’m guessing she can do these every day tasks herself. 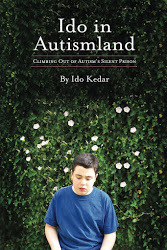 I read Ido in Autismland to help me better understand my non~verbal austic neighbour, it was an amazing read and has really informed me, thank you Ido, keep going, you will eventually change the way the medics think. 1. That the diagnosis means a specific set of characteristics that do not change over time and that is a disease with a cure. Actually, the diagnosis is phenomenological and relies on the presence of a small set of characteristics that exist at a certain time of life. Currently, the DSM defines ASD as social communication “deficits” and restrictive, repetitive patterns of behavior, both of which must be present in childhood. This definition allows for the different genetic and developmental differences among people who carry the diagnosis, because no two cases are alike. Nor is the severity of many of the characteristics that are not in the diagnosis tied to the high-functioning/low functioning divide. One can be high-functioning (verbal with normal or above intelligence) and still have severe sensory sensitivities that make social interactions impossible. (I think there are many problems gauging intelligence with non-verbal autists, btw, but that’s a different post). 2. That autists do not develop across the lifespan. This is patently untrue. Autists develop physically, intellectully and socially across the lifespan, but the timing and trajectory is usually different. For example, our brains generally do not undergo neural pruning until later than in neurotypicals, and our connectivity is also different. I am a very different person now than I was 20 years ago, just like any neurotypical is. But I retain distinct characteristics that are different from those expected in neurotypicals. It’s helpful and interesting to read your posts from your perspective living with autism. It has helped me understand my son and better explain autism to others. I was a special educator for years before I had my son, which didn’t prepare me at all for his difficulties and struggles. Your frustration with autism and Asperger’s syndrome being lumped together is understandable. I don’t think they are at all alike either. I was talking to a young woman with Asperger’s and she told me, among other things, that she only experiences two emotions: happiness and anxiety. She said other people she knows with Asperger’s also are like her in this way. But this kind of emotional limitation – why do the autism experts assume it applies to people with autism? It certainly doesn’t apply to my son. He experiences all the emotions typical kids do, in fact his emotions are often heightened, I think, because he gets overwhelmed more easily, and he is more sensitive to others than people realize. I really like this post (I like the visuals!) and your book, too. Thanks for all you do. Keep up the good work. Ido, As a teacher of students diagnosed with autism for many years, I agree with you. I heard Temple Grandin say the same thing. I believe it was in 1992. Even verbal kids without the diagnosis of Aspergers, are much different than their nonverbal peers. Nonverbal kids in my room seemed to have normal emotions. They were less rigid and much more intuitive than their verbal peers. They accepted change easily. They had greater difficulty using more than one sensory channel at a time. Had easier access to advance knowledge, often lost by their more integrated peers. Obviously more intense movement and rhythm issues. I’m new to your website…I haven’t read a lot of your stuff yet but what biomedical treatments have you and your parents have done over the years? For instance, I have a 22 yr old autistic son Tyler. Limited to one word communication ….so I basically know what he wants and needs….we have been so successful with the gluten free casein free soy free preservative free additive free yeast free and low sugar diet. Initially in 2000, I took out gluten and casein out of his diet and the tics he did have stopped, he sleep thru the night and stopped having crying spells that occurred 6-4 times a day lasting 20 minutes long and most importantly, formed stools for the very first time as he has chronic diarhea. I’m currently working with a MAPS doctor and Julie Matthews who is a well renown nutritionist for the autistic population. This is Ido’s mom. We tried various biomedical interventions when Ido was little, including the diet, but it seemed to make little difference for him. The main thing that changed his life was learning to type to communicate his thoughts and get a normal education. 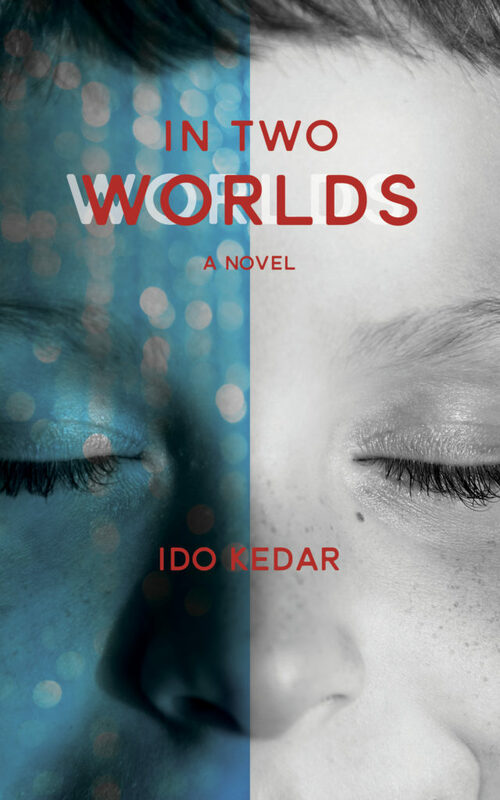 You can check out http://www.halo-soma.org to learn about the method that taught him to type and see Soma, the woman who taught him. I respectfully disagree, but I do think that I see what you’re saying. I am also on the spectrum, can speak with my mouth, think in words, etc. Although I can dress myself and drive a car, I do need academic, emotional, and sometimes physical support. I have problems with motor control — not to the same extent that you do, but they are there. I have trouble holding on to things and either use too much pressure or too little, and I drop and bump into things. I have problems with self-regulation and sensory issues as well. When I’m stressed, I shut down and sometimes go into a catatonic-like state. And, like you, I have incredible insight into people and even have hyper-empathy, however my speech was never delayed. So technically, I would fall into the “Asperger’s” category. But I also see what you’re saying about that person you met — you say that they seem perfectly normal in motor and speech skills. Even when I am speaking, I stutter quite a lot and often struggle to put my feelings into actual words. (I am much better at organizing and expressing my thoughts through typing.) I can also understand your frustration at people like Temple Grandin. I do wish I could obtain my college degree with the same ease that she seems to have done… I am currently struggling to get through college now with my condition, although I’m doing it slowly but surely. In response to the person who said that the nonverbal kids in their class seemed to have “normal emotions,” I don’t think that’s fair to say or their place to judge, because they are not inside other people’s heads. I was EXTREMELY withdrawn as a child, and you could have said that I did not seem to experience any kind of emotion based only on outward observation — however, I did and I do. I have a wider spectrum of emotion than most neurotypical people, I would say, and also have tremendous insight into both myself and others. I have another autistic friend who is verbal (although he talked late, unlike me) who is the exact same way. I honestly think that a lot of the trouble we have in diagnosing and recognizing autism is that we buy into these stereotypes and do not always bother to ask people what they are thinking or experiencing — we simply assume. Another problem may be that you and I are both on the spectrum, but perhaps people like Temple Grandin who seem to have a much harder time reading or connecting with people may have something different. I’m not sure. I also think it’s important to realize that the DSM is an imperfect science. (I’m speaking as a psych student now, and also someone who has had psychiatric hospitalizations and been in therapy for 15 years.) I do not think we will ever be able to diagnose a mental condition with the same precision that we do physical illnesses. The brain is infinitely more complex than a leg or an arm and involve people’s personal thoughts and feelings. I think it’s difficulty to reduce anyone to just their neurology. I’ve felt for years that the “Spectrum” description was too broad and too one-dimensional to help anyone, especially as it seems centered on how well the patient can speak or “passes” himself for normal. I’m an “undiagnosed” (that is, not OFFICIALLY diagnosed by a clinician) Aspie, but I pass as no more than “a bit crazy” to most folks. I talked early and even had my BA before I discovered Asperger’s Syndrome at all. I read books all the time and think both in words and pictures, but people are nearly illegible. Both of my kids are “on the spectrum” formally and neither will likely ever exactly pass as “normal” very well, but their individual cases are as different from each other as they are from my own. Is it motor issues? Sensory? Signals processing? I couldn’t say, case by case. I’ve tried to interest my son in the stories of “other autists” and their own self-description of symptoms, but he says their experience isn’t anything like his own. It probably isn’t. The one thing I am sure of here is that the “Spectrum” model doesn’t really fit anybody. My own un-medical opinion (as I wrote it back in 2014) is essentially that the “Spectrum” should measure something useful like specific sensory issues, rather than a “degree of autistic symptoms”, whatever that is. Alfred totally! The spectrum has widened so much since the 1980’s when I started. Even then the non-verbal or low communicators had different needs than their verbal peers. I disagree with the statement that Autism and Asperger’s are different disorders. Each area that is commonly affected will be affected differently in each individual. I’ve met some people who don’t want to mix those 2, and to me this resistance seems strange. We have 3 people on the spectrum (yes, spectrum) and we all have similarities and differences, but when I see us and other people with Autism or Asperger’s, I see one disorder. Recently I have read about a research that may eventually prove existence of 1000s different types of Autism (which would explain the “if you meet one person with Autism, you meet ONE person with Autism” statement). On a side note, women and girls often affected differently from boys and men. You can’t judge how someone is feeling and what they experience on inside just by looking at the way they behave, I’m sure you’re aware of that, because you experienced the other side of this type of judgement. In any case, whatever we say is a speculation and will remain the speculation until a clear way of diagnosis is discovered. Liudmila, I believe you missed Ido’s point. In taking information about autism based only on what those who can speak say, you are missing an entire group who likely have vastly different experiences. Like Ido, my son, (how types through RPM), describes his main problem as a physical inability to control his body and his mouth. It is not an insult to say that there are completely different types of autism. I, personally, have observed subtle similarities between Asperger’s syndrome and the type of autism that you have between my cousin (who is like you) and I, the Aspie. For one, the self-stimulatory behavior between he and I is apparent, many of his stims and my own overlapping: hand and finger flapping, jumping, skipping, and spinning are just quite a few overlapping stims of ours (they should really do a study on the stims of siblings and first-cousins, in my opinion). I can’t relate at all to the comments above of Aspies feeling only two linear, well-defined emotions: my emotions can jumble amongst one another, and whenever a single emotion arrives, it is potent and consumes my being (anyone who cannot properly identify their emotions has aleixythina, something of which I do not believe that I have). I do not feel as if I lack empathy or any sort of intuitive sense of others’ emotions; however, it can be difficult to gauge them, at times. Yet, unlike some other Aspies I know, I don’t say offense remarks about others within earshot of them and believe that I’m doing no harm and effectively will receive no consequence. Not to mention, the few studies that I have read on autism do not identify any genetic differences between “classic” autism and Asperger’s syndrome… Which is why the spectrum theory is one that I believe in, yet I don’t believe whatsoever that it can be used as a linear scale, as depicted above. I rather would think of it as a circle, with five different parts of it (language, executive functioning, perception, motor skills, and social skills), with plot points representing how “autistic” or “non-autistic” the trait is. The closer to the center of the circle, the more “autistic” said trait is. I still respect your own theories though, Ido. I hope to soon purchase your book and share it with my family members so that my nonverbal cousin no longer has to endure much of the childish “schoolwork” that you were condemned to for the longest time. As far as I’m concerned, while all the conditions referred to here are autism, that is because autism is a neurotype, rather than a disorder. That is why you can get such disparate things as someone who can’t speak, can read people, and can’t live independently, as well as the opposite. However, some of the problems associated with autism (such as not being able to speak due to motor issues) are disorders. A good way to solve this would be to keep the autism label, but list each and every separate problem as a comorbid condition, so, for instance, an autistic who can’t speak, can read people, and occasionally has seizures could have severe motor apraxia and epilepsy, in addition to autism, or, if language processing disorders rather than motor difficulties are the reason this particular person cannot speak and this person also has gut issues, this person could have language processing disorder, epilepsy, and IBS or Crohn’s disease. This person could also have Central Auditory Processing disorder, if their auditory processing fails. 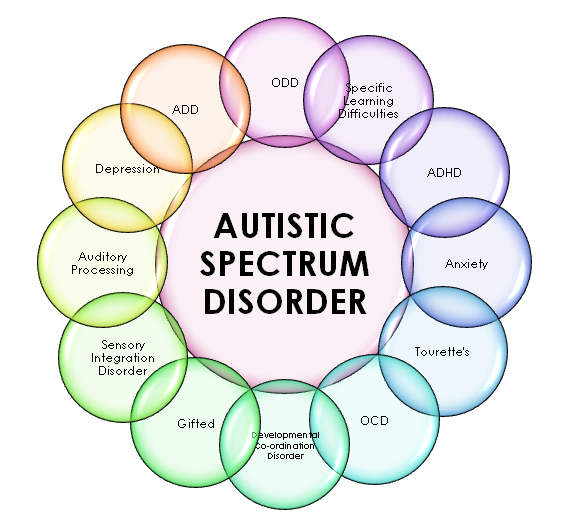 I think that naming the autism and naming the other separate disorders the person has as well (which also often includes varying degrees of Sensory Processing Disorder and sometimes synesthesia) is a good way to go, because it can tell the person or caretaker which aspects now attributed to their autism and therefore lumped into the same umbrella are causing the most trouble (i.e. apraxia, CAPD, extreme social anxiety), so those can be dealt with while others (say, being able to count a minute exactly, do a perfect meow and be able to read the subtle warnings a kitty gives off before scratching or biting, being able to track a cricket with the aid of ears alone – something neurotypicals can’t do, being able to sense connections between concepts that others can’t, being instantly able to tell when someone they know who walks quietly has entered the room) can be left alone and still others (like being so sensitive to other’s emotions that you easily break down in tears whenever they’re upset, or synesthesia that is so extreme that the synesthetic inputs nearly get in the way of being able to process important things and constantly overwhelm you) are both good and bad and may be able to be reduced to a manageable level so the bad does not outweigh he good, or does so less. It’s possible that what we now call “autism spectrum” may turn out to be a bunch of entirely different disorders. And the “divisions” may not be entirely along lines of severity. It could be that some people labeled as Aspergers have the same thing as some of those labeled as autistic, while not all low functioning autistic people or middle functioning of whatever have the same thing. It could be that Aspergers is a bunch of different disorders. But at the same time, I wouldn’t go so far as to call sensory issues and late talking “superficial”. I think the real bottom line is that the science to sort it all out just isn’t there. While your disorder may one day acquire a new name, I don’t think “Severe Motor Dyspraxia” is a good fit. I have dyspraxia and mild Aspergers. And I feel very strongly that my social deficits are very much a consequence of motor issues. Even though I have an advanced degree, am employed somewhat below my education (and for a long time even that was an epic struggle) am multilingual. As for the other two diagnoses you suggested. I don’t know of any reason why those might not one day be applied. But I don’t think we have the science to be definitive. Indeed sorting out individuals like yourself from kids who would better benefit from ABA or Floortime is a really big problem in my opinion. I had a coworker whose son is a near recovery case from ABA/PRT so it’s not as if nobody benefits from that path. I also don’t think any sober person could debate the need for something medical beyond gluten free diets and current epilepsy therapy in those with seizures and severe gut issues. For myself, I actually choose a method that involves a combination of Sensory Enrichment, NeuroNet, InTime (blends Tomatis, with drumming), and am trying to get into or improvise a CET (Cognitive Enhancement Training-it’s a rather new option for high functioning adults).